Eberhardt cites SheWrites Press, Turning Stone Press, and Wiseink as examples of promising partner publishers. Inkshares offers yet another path—a crowdsourcing model by which the company offers the full services of a traditional publisher once you sell a minimum number of pre-orders, based on a proposal. For literary authors, the commercial explicitness of this model may rankle: demonstrate that you have a readership, and Inkshares will help you meet that demand. And yet, isn’t this similar to what happens implicitly in traditional publishing, i.e. acquisitions decisions being informed by commercial potential? Consider too the financial outlays that many authors put forth even when published traditionally—for an independent publicist or editor, or for publicity-related travel, for example. C.P. Lesley, co-founder of the cooperative Five Directions Press, kindly answered my questions—even the sticky ones—about the ins-and-outs, triumphs and challenges, of cooperative publishing. Be sure to catch both Lesley and April Eberhardt on a panel about partner publishing at the annual Writers’ Digest Conference in NYC on August 13, 2016. Bloom: What is cooperative publishing? C.P. Lesley: As we understand the term, cooperative publishing refers to a small group of authors who band together to help one another produce and sell their books. We trade skills, not money, so in that sense we are not a business. We work together to ensure high quality in terms of writing, editing, and production. Bloom: Specifically how does it differ from self-publishing? From traditional publishing? CPL: Like traditional publishing, coops allow authors to hand off to others some of the work that goes into producing a book; writers need not be expert at everything, which allows them more time to write. Many people also find it easier to promote others’ books than their own. But as in self-publishing, writers retain creative control and benefit from the shorter payment schedules and higher royalty rates offered by online bookstores and printers. Bloom: How did you first hear about the cooperative publishing model? CPL: We—that is, the three founders of Five Directions Press—came up with the idea of forming a coop before we learned that others already existed. Our main reasons for taking that route were, first, that we had a good mix of skills needed for publishing and, second, because we wanted to avoid the conflicts that money can cause. So we chose to form a small press in which each person would pay her own way and collect her own royalties. We now know of half-a-dozen other coops, most formed in the last five years. Bloom: Specifically what were the “good mix of skills needed for publishing”? CPL: I have worked for two decades in academic publishing–line editing and typesetting, among other things–and I’m familiar with InDesign, the tool that makes professional typesetting possible. Courtney J. Hall owned her own graphic design business and has always had an interest in cover design. Ariadne Apostolou is an art historian; she has a strong visual sense and an understanding of institutional dynamics and how to reach out to organizations, but for us her particular strength is her ability to spot story flaws, so she focuses on developmental editing. Bloom: How do you see cooperative publishing fitting in to the larger publishing ecology? Does it have a specific role to play—a niche to fill—or does that remain to be seen? CPL: Although the current publishing climate makes predictions difficult, I do think there is a place for something between self-publishing and traditional publishing. At its heart, a coop is a small press with a specific financial model. Like other presses, coops exercise quality control over the books they publish; they act as gatekeepers—a function readers like, especially as the number of books continues to grow. Coops lag behind traditional publishers in terms of marketing clout and reach, but their size makes them more flexible and responsive in rapidly changing circumstances. Because they don’t need to sell a million copies to turn a profit, they can take a chance on good books without worrying about whether they have mass-market appeal. They can focus on each title and keep books in print for long periods while authors build a readership. Bloom: Tell us about your acquisitions process—how do you decide whether to go forward with publishing a book? How do you balance the consideration of the quality of the work and the author’s ability to contribute to the cooperative? CPL: Our coop has doubled in size in the last three months. From June 2012 until April 2016, the three founders made all decisions together, including whether to admit new members. Since then, we have decided that the co-founders will make an initial determination on admitting new writers, but all active members will participate in the final decision. The main factors we consider are the quality of the writing and whether the book fits well with those we have already published. Our tag line is “Literary Journeys along Roads Less Traveled,” and we like books that explore times and places that tend to be overlooked in the mass market: 1950s Switzerland, 1530s Russia, contemporary Greece and Scotland, the last days of the Roman Empire, etc. We want strong characters, interesting plots, a good ear for language—all the things any editor wants. We also need a person who enjoys working with others, who takes and gives criticism well, and who is self-motivated and able and willing to contribute to the group. All our active members work on behalf of the coop. But the quality of the writing is paramount. Bloom: In traditional publishing these days, publishers tend to commit to books, not authors. If an author submits a manuscript that her publisher is not enthusiastic about, for whatever reasons, the publisher may pass on it. Does your coop function differently? What happens if one of your authors submits a book that the others are less enthusiastic about—its “quality of writing”—than the previous book? CPL: We would refuse to publish it until it met our standards. The author could choose to self-publish it or take it elsewhere, but not publish under the Five Directions Press name. We’re trying to establish a standard for excellence, like any press, so we expect our current members to meet that standard. Even so, one important difference between a traditional publisher and a coop is that we might refuse to publish a book because we thought it not up to snuff or because we couldn’t work out an acceptable cover design with the author, but we would not reject a book because we thought it would not sell. In the current climate, many good books don’t see the light of day because the marketing departments overrule the editors–for reasons that make perfect sense given the economic needs of large publishing houses. Small presses and coops have the advantage of favoring quality over sales. Bloom: Practically speaking—nuts and bolts—how does a publishing coop work? CPL: Our coop has seven active members involved in day-to-day decision making. Everyone is writing, and each person contributes as needed based on her skills. Together, we handle developmental critiquing, line editing and copy editing, cover design, e-book production, marketing, media contacts, the quarterly newsletter, press releases, typesetting, and the website. Now that our members live in different time zones, we make most of our decisions by e-mail, although the three founders continue to meet once a month as a writers’ group. Bloom: Tell us a little about the financial model: what authors put in, what they take away, etc. CPL: Each author pays for her own cover photographs, print proofs, print copies, bookmarks, and other costs associated with publishing; each signs up with the various online stores, which pay royalties and supply tax information directly to her. Each author also sets her own pricing, although we try to keep the books in a certain range. E-book prices run from $2.99 to $4.99 and print prices from $12.99 to $16.99, depending on length. Authors make their own decisions about sales and promotions. Our only significant coop expense is the annual fee for hosting the website. Bloom: Cover design is often a thorny business in traditional publishing. The publisher feels strongly that the cover represents the company and thus claims ownership; this can sometimes create conflict between author and publisher. Do each of you have complete control over your own covers, or is that part of the cooperative process? CPL: You’re right. Cover design can be a thorny business. Increasingly, we are shifting primary responsibility for cover design to Courtney J. Hall, with some input from me. We are less draconian in our approach than many traditional publishers: we talk to authors about their vision and listen to their suggestions, and we would not force a cover on an author that she hated. But we also won’t accept a cover unless it meets our standards for professional design. Again, it’s a matter of establishing a brand for the press, not the author alone. Bloom: Is there a potential pitfall that excludes talented authors who do not have the financial means, skills, or time to contribute to a publishing cooperative? Are you all able to do the work of cooperative publishing while still maintaining other income-earning employment? CPL: I don’t think so. Most of us work, and even those who are officially retired have responsibilities other than writing. The financial commitment is minimal, since the point of the coop is to take advantage of current technologies that allow authors to publish with low up-front costs. And given the range of activities we undertake, it’s difficult to imagine a writer who would have nothing to contribute. We have two authors who prefer not to be involved in day-to-day decision making—both are elderly writers who’ve written fascinating memoirs—whose books the other members felt good about including under our imprint. The real issue is that the coop needs to remain small to function effectively. So it benefits us as a group to prefer people whose skills offset the work of producing additional books. Otherwise, we create an imbalance among the members that could undermine our joint enterprise. Bloom: What have been some of the biggest challenges / lessons learned in establishing and developing Five Directions Press? CPL: Our biggest challenge by far is marketing. We started the coop without a true marketing plan and with minimal business experience among the three of us. We always thought in the long term: our plan was, and is, to build a brand for Five Directions Press. 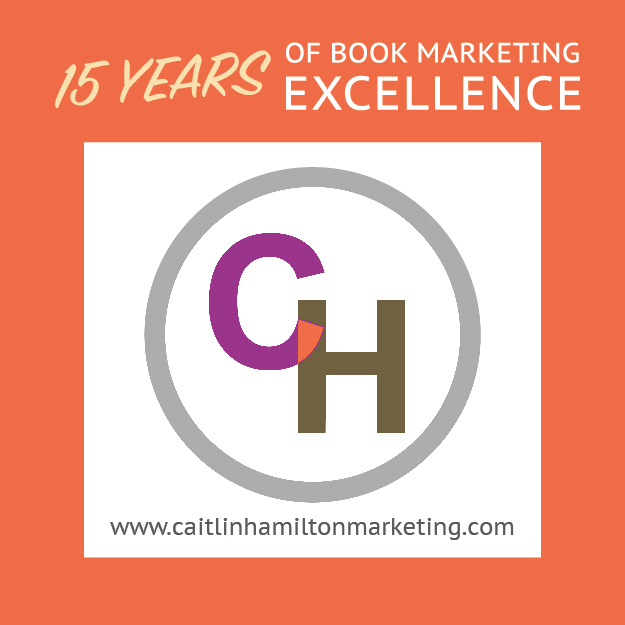 It’s taken longer than we expected, but now that we have sixteen books by eight authors, as well as a professional website and a media department, we hope to move faster. My podcast channel, New Books in Historical Fiction, is also beginning to get some traction. Bloom: What is your measure of “success”? Please share examples from your list. CPL: I suspect each of us defines “success” a little differently. I consider it a success to have co-founded a group that still exists after four years and is expanding. I have published six novels with Five Directions Press; it makes me happy to know that people read them and enjoy them. If one or more of the books breaks out in a way that can support my retirement, so much the better! Bloom: How committed to the cooperative publishing model are your members? Would some of you consider publishing traditionally or by other avenues for your next books? Bloom: What advice would you give to authors interested in starting a cooperative publishing company? CPL: It sounds trite, but the most important ingredient for a successful coop is cooperation. Communication is vital, as are good writing, good people skills, and a good mix of talents. You need to be realistic about the time it will take, the goals you set, and the results you can expect. Don’t count on becoming rich and famous overnight—or at all. However you define it, success takes time. And discuss at length what each person expects, as well as what your joint vision is for the coop. What kinds of books? What genres? What’s your niche? What constitutes good writing? Who will do what? How will you make decisions? Then have fun. Working with Five Directions Press has been a joy. I wouldn’t have missed this opportunity for the world. C.P. Lesley, a historian, has published six novels through the authors’ cooperative Five Directions Press, which she founded in 2012 with Ariadne Apostolou and Courtney J. Hall. Lesley also hosts New Books in Historical Fiction, a channel in the New Books Network. The Swan Princess, the third book in her series set in Russia during the childhood of Ivan the Terrible, appeared in April 2016. Tags: April Eberhardt, Ariadne Apostolou, C.P. Lesley, Courtney J. Hall, Five Directions Press, Hogarth Press, Inkshares, Jessica Svendsen, Leonard Woolf, SheWrites Press, The Swan Princess, Turning Stone Press, Virginia Woolf, WiseInk. Bookmark the permalink.